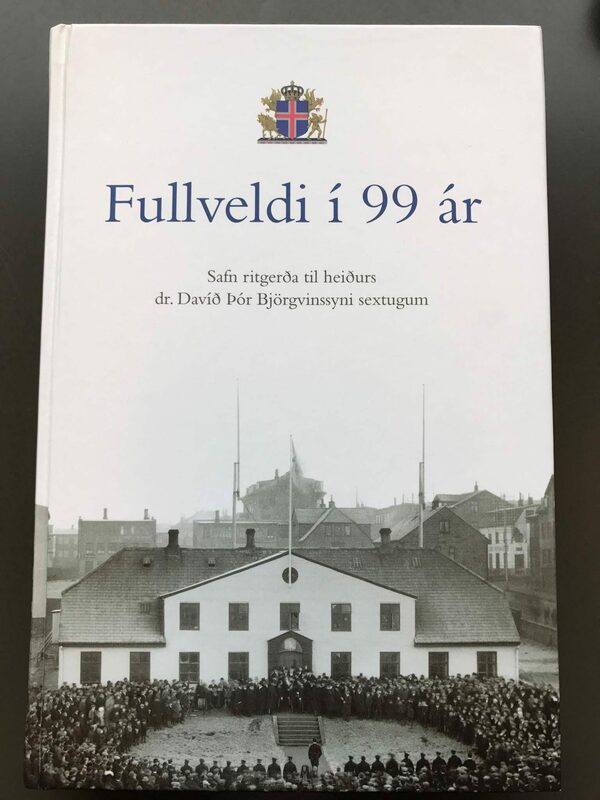 I am honoured to be part of the editorial team and write a chapter on small states and sovereignty in a book about Iceland's sovereignty in 99 years. The book is published to credit the work of David Þór Björvinsson, professor of law and former judge at the European Court of Human Rights. He has written extensively on Iceland and sovereignty. 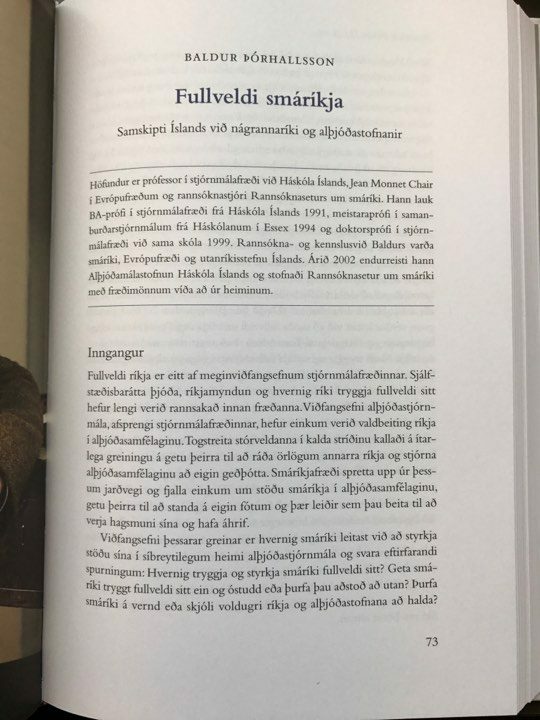 The book manifests his forward thinking and is a collection of interdisiplinary essays on Iceland's sovereignty since 1918.